Nokia 3 is now available in India priced at Rs 9499 whereas Nokia 5 is available for Pre-book now according to new report both Nokia 5 and Nokia 6 will be available starting Mid August. 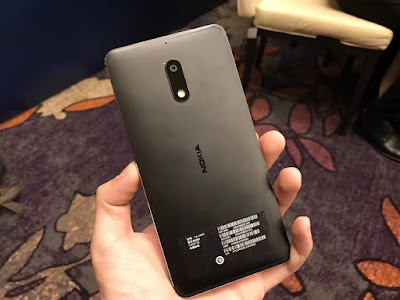 Nokia 5 feature a 5.2-inch Display powered by Qualcomm Snapdragon 430 processor with 2GB RAM and 16GB of internal storage on camera it has a 13MP rear camera, 8MP wide-angle front camera, and Android 7.1.1 Nougat (with Google Assistant) Fingerprint Scanner on front Packed with a 3000mAh Battery. Nokia has overpriced Nokia 3,5,6. Except for so called build quality, nothing much to report in these. All sales will be on basis of Nokia old name. Specs are not worth price.